The ‘new Pittsburgh’ takes root on the Hilltop. But gun violence remains. 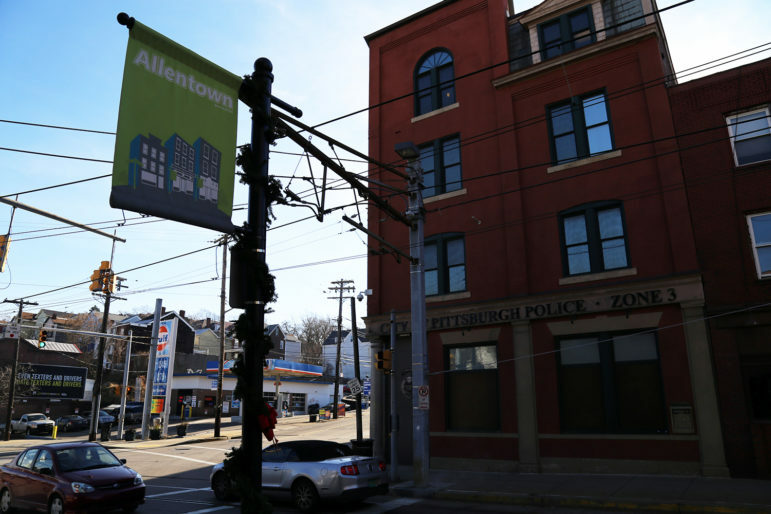 Allentown mirrors Pittsburgh’s rebirth. The Hilltop neighborhood has been lauded with glossy press cheering its new growth and all the innovative opportunities after years of disinvestment. The main drag was once a strip of busted pavement. Now there are tech startups, new boutiques and restaurants (as well as our newsroom). It’s a welcome change from negative attention for crime and violence that has stigmatized the area, along with neighboring Beltzhoover and Knoxville. Yet the Hilltop hasn't been able to shed its history of violence as the community has been revitalized. Officers find shell casings on the street, cars show up at the police station pocked with bullet holes, and young people are fired on, injured and killed, often in close proximity to the newly adorned storefronts. Since 2010, 30 people have been fatally shot within 1 mile of the Zone 3 police station, which sits at the end of the business strip on East Warrington Avenue. Nearly 150 others have been injured in roughly 400 shootings, according to police data. Richard Carrington sees plenty of outrage over the heroin epidemic that is killing white people. He sees little outrage over gun violence, which disproportionately kills black residents. Nearly 400 shootings since 2010 have left 30 people dead and nearly 150 people injured within 1 mile of the Zone 3 police station. Homicides mapped above are current as of Jan. 1. Complete data on non-fatal shootings and assaults was only available through August. Click here to see an interactive map of recorded gun crimes in Pittsburgh over the past six years. He asks where the outrage was after Isis Allen was fatally shot in nearby Knoxville, murdered accidentally at age 6. Sure, there was news coverage at the time. She had a beautiful funeral. But what changed? Two weeks later, Christopher Rodriguez, 20, was fatally shot in Allentown by a person who claimed he wanted to buy a gun from Rodriguez and accidentally shot him while holding it. On Nov. 30, Shanique Saunders, 23, was killed in the middle of the afternoon in Knoxville. According to court documents, she was riding in a jitney with her alleged shooter, who accused her of being a snitch and stealing from him. 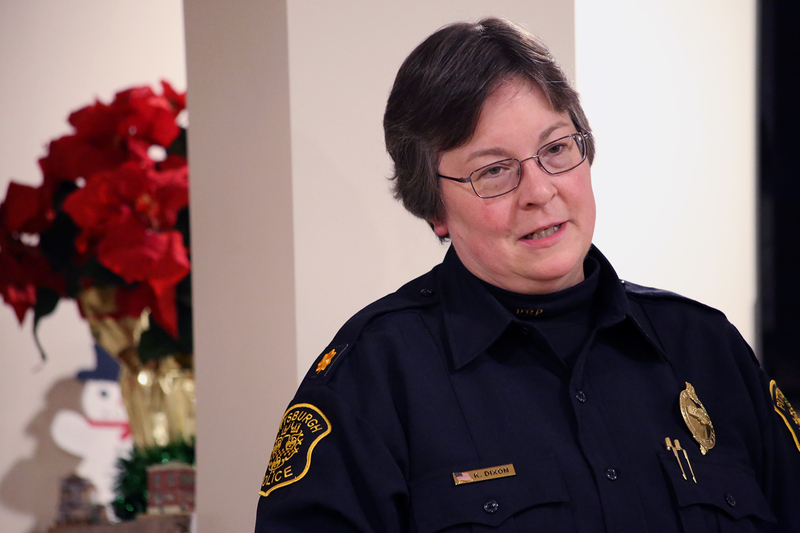 Zone 3 Commander Karen Dixon told residents at a public safety meeting in early December that police have “a lot of things working against us,” describing how easily drug dealers elude police, and how little cooperation police get in solving shootings, even from the intended targets. “The victims just look at us, and go ‘Nope, don’t want anything to do with you. I got this,’” Dixon told about a dozen people at Allentown’s senior center. The commander was not available for an interview, despite weeks of scheduling attempts, both in person and through the bureau’s press office. Dixon referred questions on shooting investigations and anti-violence efforts to the department’s Major Crimes Commander Lavonnie Bickerstaff. She was not made available for an interview either. At the meeting, Dixon told residents she may only have 10 officers available to patrol on a shift. That’s to cover 15 neighborhoods, including the bars on Carson Street, and about 48,000 residents in the city’s busiest police zone. With such tight staffing, police can do little more than chase calls, though Dixon said she has been promised more officers by Acting Chief Scott Schubert. Carrington describes a force that doesn’t know how to react even when given direct opportunities to engage with the young men involved in shootings. This is after years of inspired rhetoric by officials on the value of community policing. He’s similarly frustrated by the inability of community groups to stop violence. City Council President Bruce Kraus, who represents much of the Hilltop, notes the years of work behind an improved Allentown. He’s happy with the progress. What once seemed like the city’s worst road has been overhauled, and storefront vacancies are filled with new development alongside businesses that have weathered harder times. A feeling of safety, Kraus said, is crucial for investment to thrive. Aaron Sukenik, executive director of the Hilltop Alliance neighborhood advocacy organization, said there’s no reason for most people to feel threatened, particularly in daylight hours. Most violence is targeted, he said, and it’s nocturnal. When asked about violence, he answered by asking if I myself feel safe here. PublicSource moved its office to Allentown in May, and we’ve been enthusiastically greeted and made welcome. If your takeaway is that you should avoid the area, take my advice as someone who spends the better part of every day here and eat at every restaurant on the strip, browse the shops and grab a coffee. This is not about fear or disparaging a community. But a neighborhood can only be truly "livable" if residents feel safe. At present, this is a city where young people are shot to death – in many neighborhoods – with shockingly little outrage. 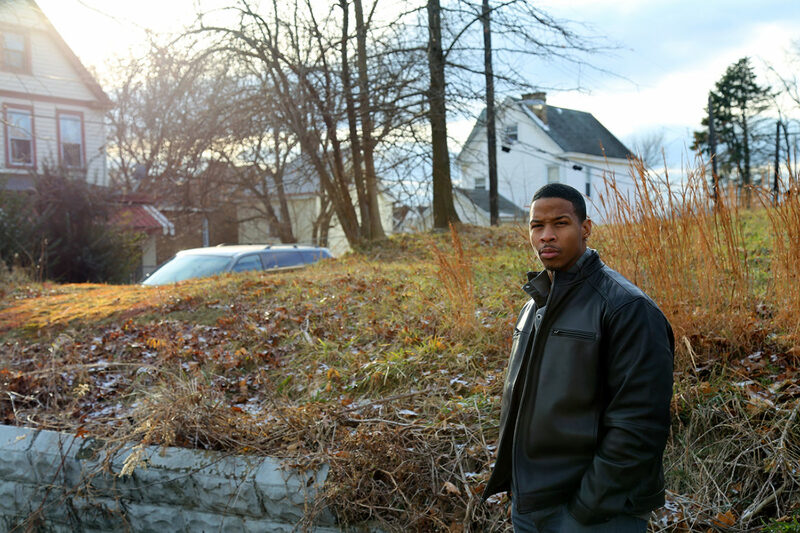 At 32, Terrell Thomas is executive director of the South Pittsburgh Coalition for Peace and the Isaiah Project, which is aimed at keeping youth away from violence. At 17, he held his dying older brother in Beltzhoover’s Upper McKinley Park after they’d been fired on by a masked gunman. Thomas has hope for better. He doesn’t know if he’ll see it. Earlier this year, he was helping a young man named Terrence Jackson get his life back together after incarceration. They were brainstorming ideas for starting a food pantry, and Jackson was talking about opening a restaurant. But at 27, he was fatally shot shortly before midnight on April 14 at Red’s Ringside Cafe on East Warrington Avenue. Thomas, who grew up in Beltzhoover, said too little investment is directed at young men. Like Kraus, he blames much of the violence on illegal guns. How prevalent are they? Thomas describes a telling scene in Allentown when he was talking to a group of young men about violence prevention. Then a car drove by, and one of the men stepped away. He came back to finish the conversation with a gun at his waist. So, yes, there is progress on the Hilltop. But it’s also an area where young men are armed, and where shots are commonly heard, and where officers say they get little cooperation.